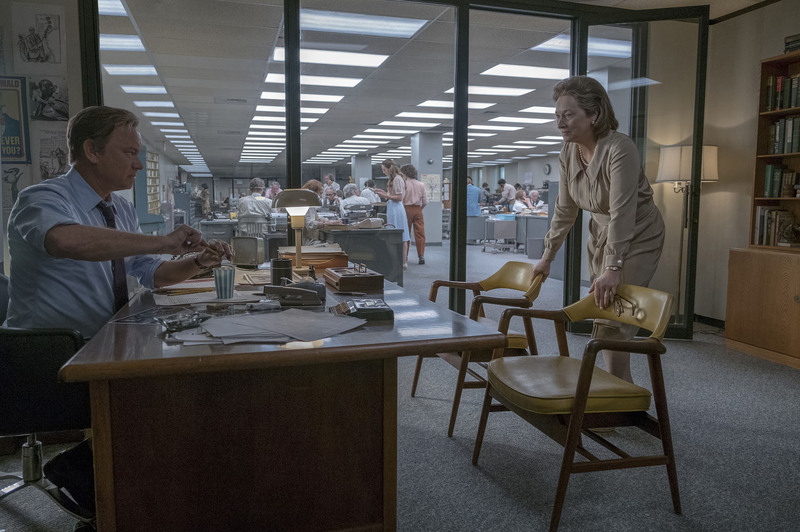 The new film "The Post" tells the story of The Washington Post's decision to publish the Pentagon Papers in 1971, despite strong opposition from the Nixon administration. 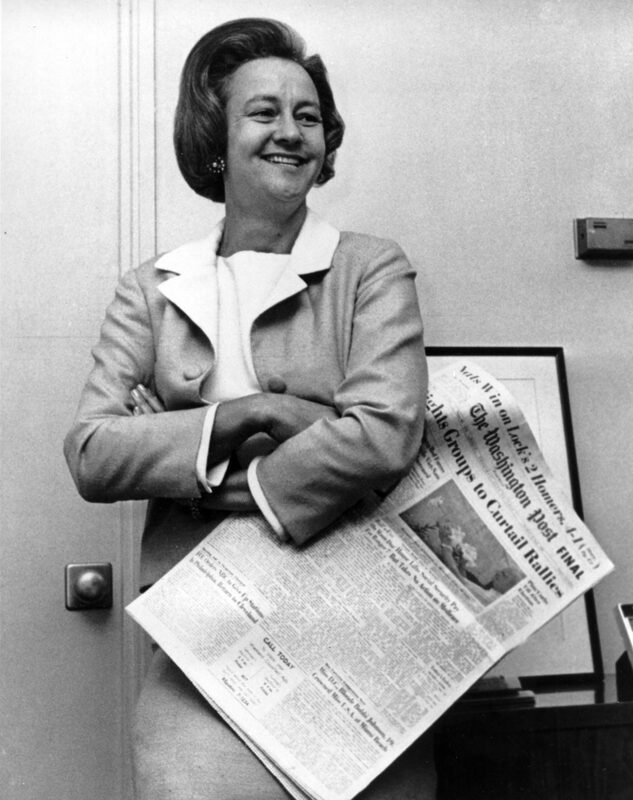 The film, directed by Steven Spielberg, stars Meryl Streep as Washington Post publisher Katharine Graham and Tom Hanks as editor Ben Bradlee. Liz Hannah (@itslizhannah) co-wrote the screenplay with Josh Singer, and says she was inspired to write it after reading Graham's Pulitzer Prize-winning memoir, "Personal History." "I read it when I was in my early 20s, and I just sort of fell in love with her voice," Hannah tells Here & Now's Jeremy Hobson. "She had a really unique way of looking at her life and reflecting on her past that was ... something I needed to read in my early 20s. She was very honest about being insecure, and very honest about the mistakes she'd made and very honest about analyzing her choices." "I think her insecurity was something that we really were taken by, and something that we really tried to explore in this. She grew up in a time that, really, the word 'feminism' didn't exist yet. She was raised in a world where she was educated enough to take care of her family and to take care of the house, and was never intended to really run a company. And so she was very insecure about that. One of the things she had talked about in her book was that she always regretted not going to Harvard Business School, because she thought that that was something that would really have helped her be suited for the job, whereas she was actually the person in the room who understood the newspaper business and everything that went into The Washington Post better than any of the people at the table. So there is this interesting dichotomy in her of, deep down she was this very strong-willed woman, but she had been kind of raised to [tamp] that down." "She was raised in a world where she was educated enough to take care of her family and to take care of the house, and was never intended to really run a company. And so she was very insecure about that." "I think one of the things is that Josh not only is an incredible writer, but he has an enormous amount of experience in this world. So we were able to speak to [Washington Post executive editor] Marty Baron who was at The Boston Globe actually at the time of 'Spotlight,' and is now at The Washington Post, so that was amazing, being able to vet the script through people. One of the things that's scary about writing a movie about journalists is they are going to pick exactly what's wrong and they will tell you about it. And so we wanted to make sure that it was, not only as truthful as possible, the history, but that it's as authentic as possible to what the dynamics of a press room are and things like that." "You know what's amazing is we had an amazing amount of access, not only with the Post, but with the Graham family and the Bradlees. And so we were able to really vet it, and then on set we had [former Washington Post executive editor] Len Downie, who took over the paper after Ben left, was on set with us for a long time, and he would tell us not only sort of the wrong things that we were doing if there was something about journalism, but he'd every now and then be like, 'Yeah, Ben would never say that.' And so he knew Ben and Kay really well, so he was sort of our technical slash human consultant. "But also, we just premiered the film in D.C. last week, and the response I think has been, for me has been really wonderful. The only thing that I worried about, or not that I worried that we didn't, but the thing I was most concerned about was I wanted everybody who knew Kay to feel like we got her right, because she's never been depicted on film before. That was something that we really, everyone involved, we really wanted to get her right, and so we've heard from a few ... not only the family, but from people who knew her, that it feels like we got her right. So that's kind of like the best cherry on top of anything." "She really undertook it with such an immense amount of respect. She would listen to Kay's ... you know, luckily Kay reads her memoir in the audiobook, so she would listen to Kay's memoir constantly to get her voice, to get her ... not just the inflections, but sort of you can tell the moments that are important for Kay to be talking about, the moments that are maybe more emotional, or that she feels a certain way about. And so that was I think a wonderful gift for everybody that we could listen to those tapes, and I think for Meryl, too, to be able to have Kay's voice really there, talking about these things that we were making a movie about, was really amazing. But, really you can't go wrong ... Meryl can read the phone book and it sounds good." "It's been sort of strange to watch some things that took place in 1971 seem slightly reminiscent of things that are happening now. But you know, here's the thing: History is cyclical, and sometimes it's good to look back on history to see that, not only did we get out of it — not necessarily unscathed, but maybe with a little more knowledge and a little more experience — and also to look back and say, 'Well OK, how did we get out of it? What happened? What can we do to sort of see where we can go from here?' "